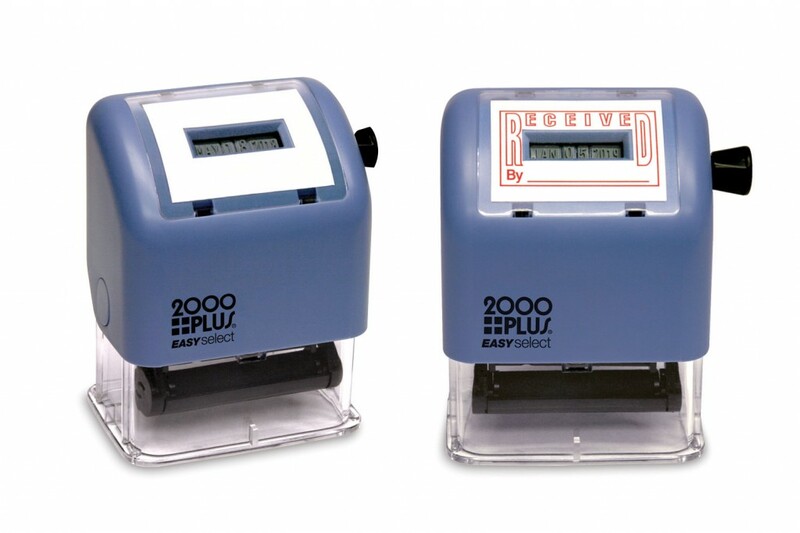 Cosco offers a wide variety of stamps including message stamps, date stamps, numbering stamps, along with a wide variety of accessories to meet all of your stamping needs. 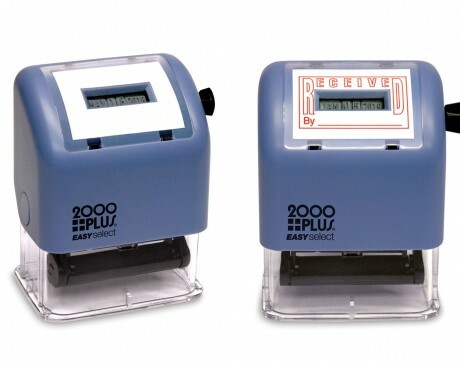 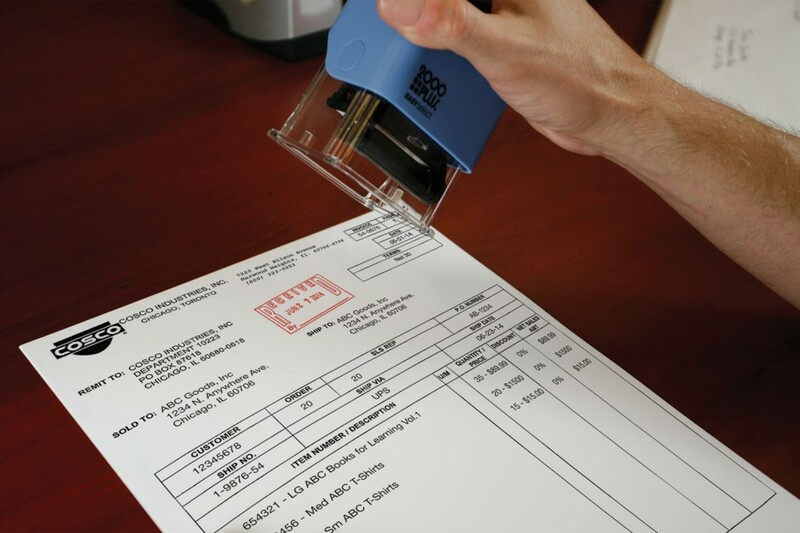 Our brand names of Accustamp and 2000Plus features both pre-ink and self-ink stamps. 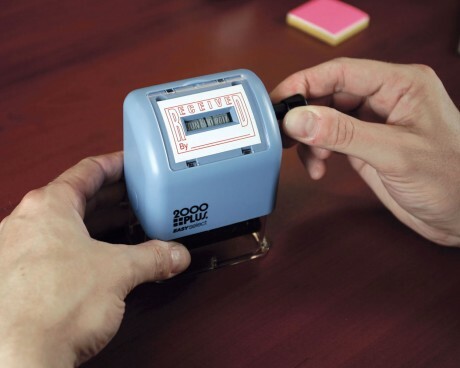 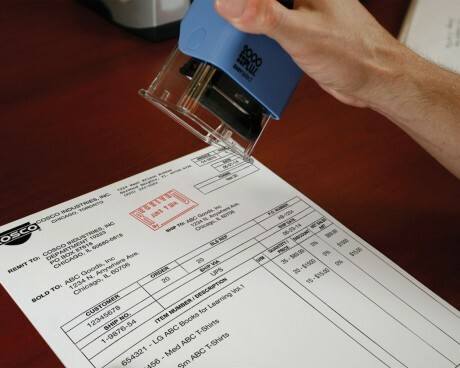 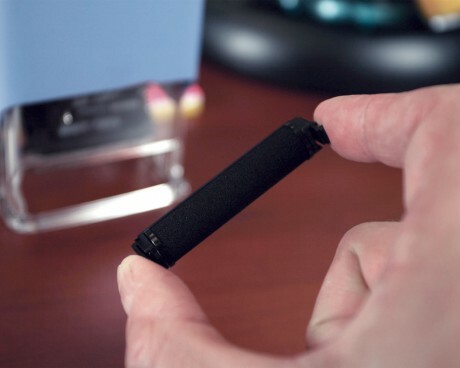 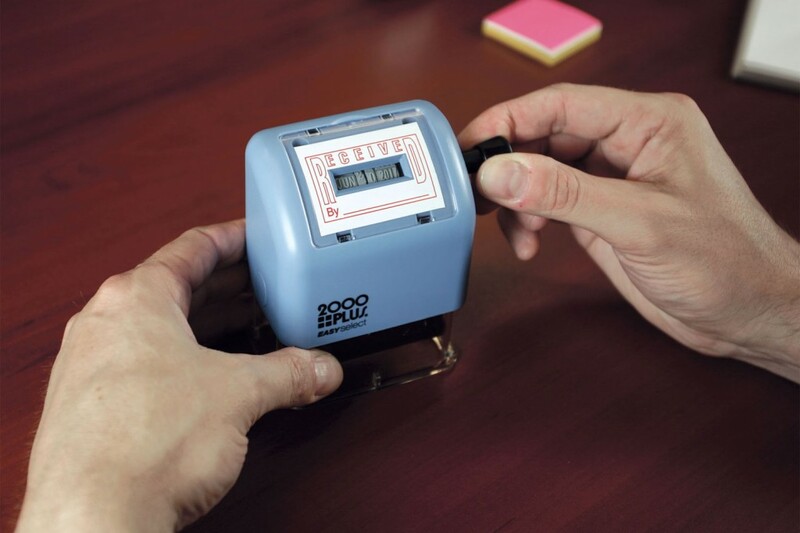 Self-inking Stamps are made with a built-in ink pad. 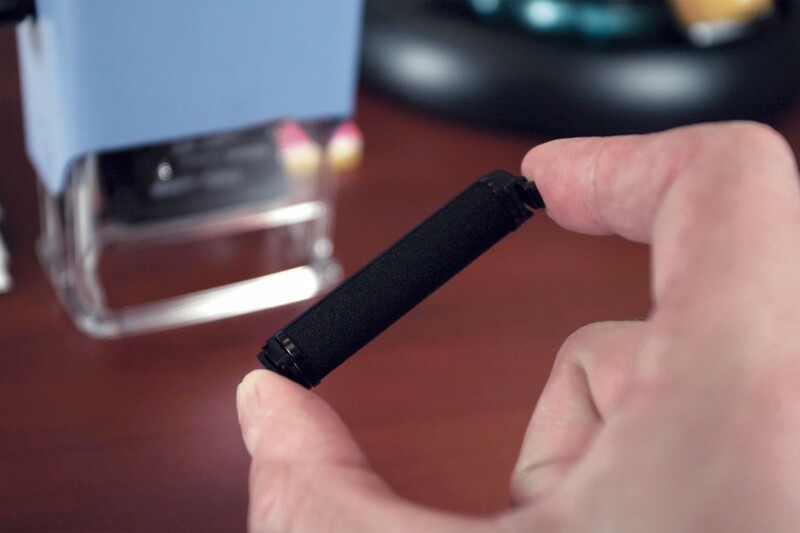 The pad is easily replaceable and provides thousands of quality impressions. 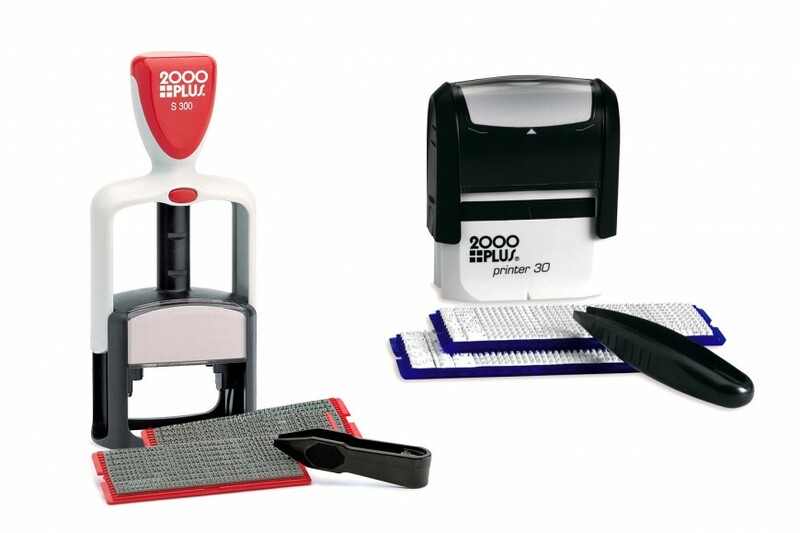 These stamps are perfect for fast repetitive stamping. 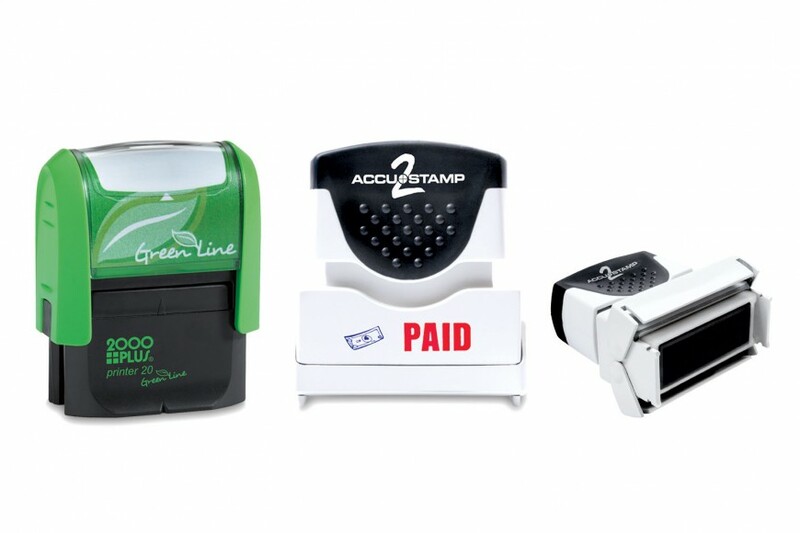 Pre-inked Stamps are made with an ink cartridge built into the housing. 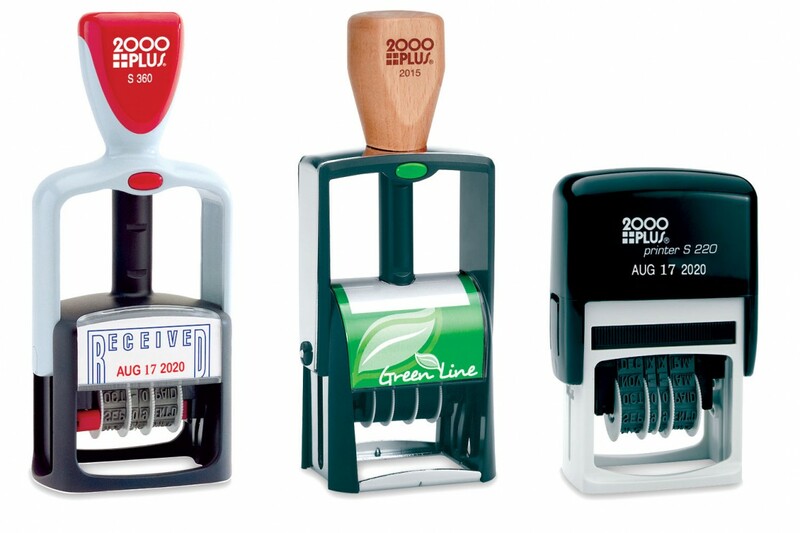 Simply press down on the handle and the already inked die contacts its surface to create the impression.